Oceanic islands and archipelagos provide simplified biological communities compared to continental settings, making them useful systems for ecological and evolutionary investigation. Much of our general understanding of how such insular communities assemble over time comes from top-down extrapolations of process from species distribution data and molecular phylogenetic data. Here I will argue that to connect pattern with process, geographically explicit individual-based bottom-up approaches are needed that are broadly representative of the community itself. We have been working toward this, developing community-level sampling protocols for arthropod taxa that integrate DNA sequencing techniques to simultaneously facilitate taxonomic assignment and test hypotheses about the drivers of speciation. 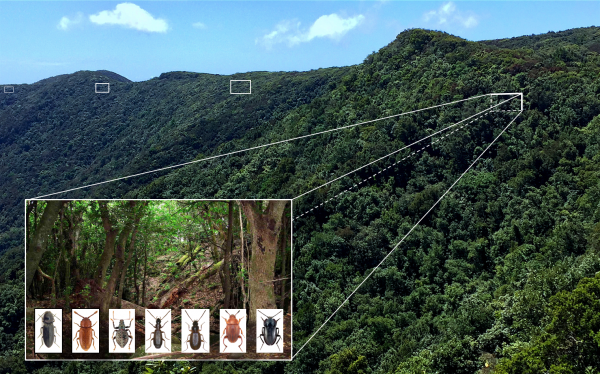 I will present results that reveal the subtle but pervasive impacts of island topography and climate that act in concert to drive speciation across entire arthropod communities. I will also present data from recent efforts within our research group to overcome the logistical constraints of geographic and taxonomic scale for comparative molecular analysis of invertebrate communities.